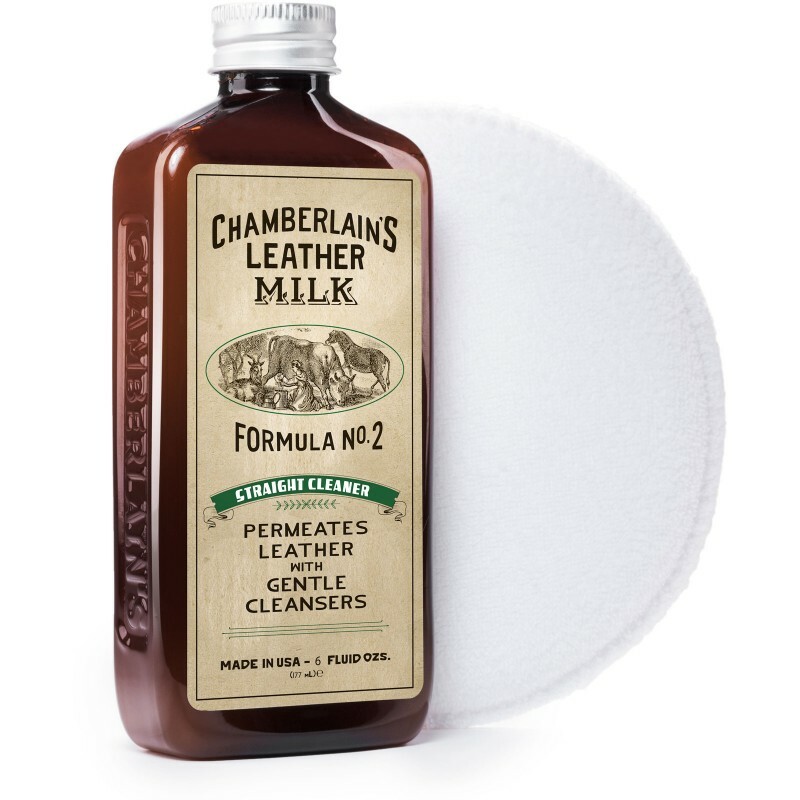 Made in America, the Leather Milk products are all made using natural ingredients that are gentle on leather. 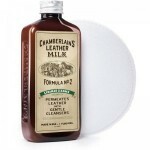 The Straight Cleaner is for use when the dirt has become ingrained and you need a deeper penetrating product to get into the leather's pores. This comes with a deluxe applicator pad. 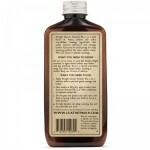 You should always follow up use of this product with a good conditioner such as Leather Milk No. 6 shoe and boot cream or the leather will dry out. As with all leather treatments you should always test this product on a small area such as the tongue before using across the rest of the shoe to make sure there are no problems.